Listed below you will find some coupons, discounts and promotion codes for Weddings . To use a coupon simply click the coupon code then enter the code during the store's checkout process. Kate Aspen : Save 20% on your entire order at Kate Aspen, this weekend only! Evermine : Memorial Day Save 25% Sitewide! Sparkles Make It Special : $5 Off $25 on all Fabric Ribbon with code. Life Invited : Celebrate the National Day of Prayer and get 10% Off Christian-themed wedding invitations with this code! Sale ends 5/6. Express : Canada Only! $25 Off Every $100 You Spend In-Store with Code at EXPRESS! Abhair : Spring savings! Sitewide 25% Off! Save extra 10% Off with code. Free US shipping. Ends 4/30/2016. 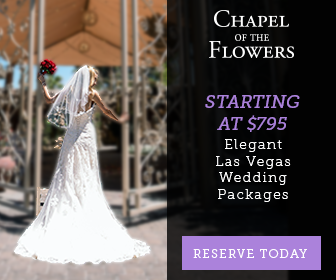 Little Chapel : Elegant wedding packages in Las Vegas, complete packages starting at $795. Weddington Way : 10% Off sale items. Paper Snaps : SAVE 10% Off with promo code at PaperSnaps.com - BUY NOW! The Marriage Foundation : 10% Off - Easter Special Offer on The Marriage Foundations Pre Marital Counseling Course. The Knot Wedding Shop : 25% Off All Orders - Valid 12/24/14 - 12/28/14. DidoBridal : Free shipping For All Bridesmaid Dresses @DidoBridal. BrideBox Coupon Code : Holiday calendars - 10% Off + free shipping. Celeb16 : Buy 3 Get One Free & Free Shipping on Bridesmaid Dress.